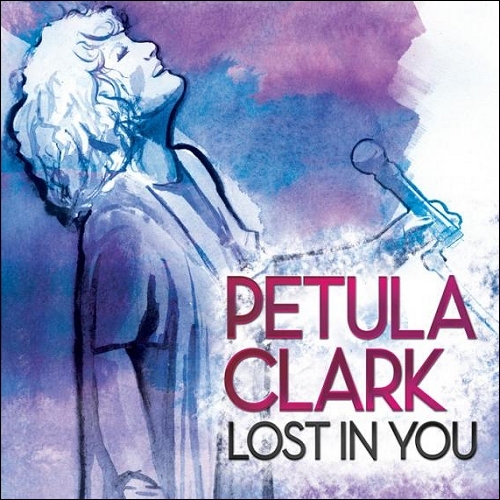 I don't know if it's because I'm getting older or if it's because we're having such a Wintery Spring here, but I'm liking the new Petula Clark album Lost in You an awful lot. It's a curious mix of Saint Etienne meets Country & Western meets those "Candlelight" mixes that used to feature on DJ Sammy singles and is perfect for listening to by the fire, with tea and a stack of marmaladed toast while heavy rain pelts down outside and a muted black and white Monday matinee plays on television in the background. Petula has followed in the footsteps of other music luminaries like The Hollies, Charlotte Church and John Barrowman by showcasing her new material on QVC and, as you can hear, the LP includes a number of cover versions including Love Me Tender, Gnarls Barkley's Crazy, a re-do of her very own Downtown, and one of the most wretched songs ever written (but we'll forgive Petula for that faux pas). Personally, I'm entranced by the completely gorgeous lead single Cut Copy Me which was released as part of a French EP last year. A new remix EP has just surfaced but sadly it does not include the dreamy Compuphonic mix. It's ironic to note that, while certain other 80 year old "celebrities" are proving to be famous for possessing absolutely no talent whatsoever, Petula remains a class act and lets her music speak for itself.